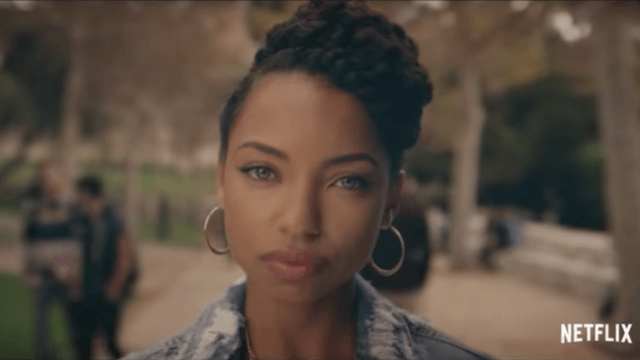 On Wednesday, Netflix aired a 35-second date announcement trailer for a new series, Dear White People. The 10-episode comedy, which takes place on a fictional Ivy League campus where frat bros have a black face party, is based off a successful 2014 indie film of the same title, Huffington Post reports. The series will be the latest addition in a trend toward shows that tackle serious issues in a dramedy tone, like MTV's Sweet/Vicious which features two female college students who are vigilantes against sexual assault at night. Or Lifetime's Mary Kills People, which is about a woman who performs assisted suicide as her side hustle. Somehow, white people took issue with the show, calling it racist and anti-white (hmm maybe that's because they are racist and anti-black? ), and since the trailer's release yesterday, the trolls have been pretty persistent in attempting to make a Netflix ban happen. While trolls, especially those of the Trump supporting, alt-right variety, are usually best ignored, sometimes it feels good to stand up against racist jerks and serve them some justice. And that's exactly what some beautiful stranger(s) out there did.